When will a woman be on the $20 bill? The survey was conducted by the advocacy group Women on 20s, which is pushing to have a woman's face on U.S. paper currency. The organization sent President Obama a petition Tuesday asking him to push for the change. The campaign has drawn a lot of attention. More than 600,000 people have cast votes in the online poll in the past ten weeks, including celebrities like Susan Sarandon and Ellen DeGeneres. Harriet Tubman, an abolitionist who led slaves to freedom on the Underground Railroad, would replace Andrew Jackson on the $20 bill. Tubman beat out a list of 15 candidates, including former first lady Eleanor Roosevelt, civil rights activist Rosa Parks, and Native American chief Wilma Mankiller. 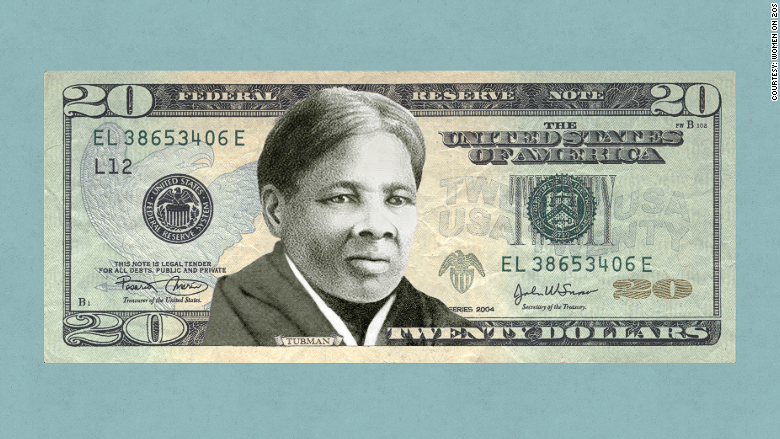 Move over Andrew Jackson, America wants to see Harriet Tubman on the $20 bill. But only the Treasury Department has the authority to make changes to U.S. currency, and its official plans say that the $10 bill is the next one for a redesign, not the $20. The campaign inspired U.S. 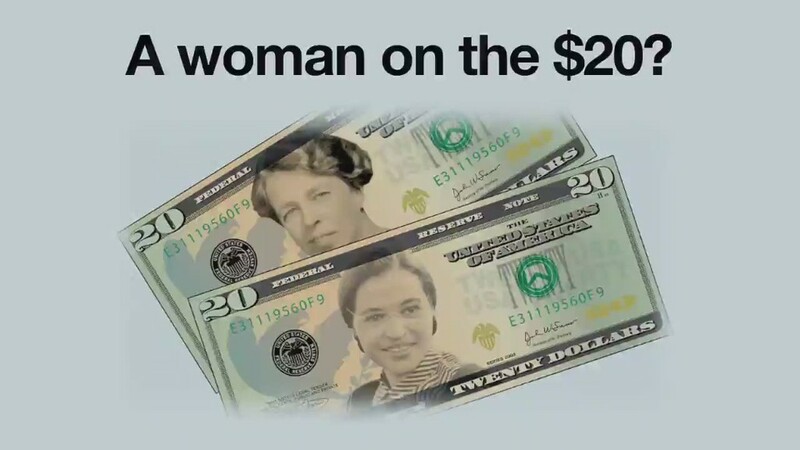 Senator Jeanne Shaheen, a Democrat from New Hampshire, to introduce legislation that would instruct the Treasury to put a woman on the $20 bill. There hasn't been any vote on the bill.